It may be helpful to discuss some of the ideas on this page with your spouse before he/she deploys. Having an intentional plan in place might be helpful in preventing disappointments throughout the deployment as some spouses may not naturally be creative in this area. "It's a time for us to grow deeper in the Lord, and more dependent on him as our provider and sustainer." "Read the same devotional at the same time - Two suggested devotionals are 365 Daily Readings: A Year of Devotional Readings To Help You Abide in Him by John Eldredge or Experiencing God Day by Day by Henry Blackaby and Richard Blackaby." "We read one proverb a day for a month from the book of Proverbs in the Bible." 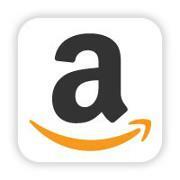 "Cards, boxes, letters, phone calls, Skype, do the same devotional and/or Bible reading daily. You may not be doing it together but you're both reading the same thing! I believe a deployment is super hard but can strengthen your relationship and faith!" "My husband ordered flowers to be delivered on a monthly basis before he deployed and handwrote note cards to accompany them when they were delivered." "My husband would send a rose for each month deployed (month 1 - one rose, month 2 - two roses) - would have a dozen roses on the final month." "Flowers. every month. sent to the office, with a note. and if he knew I was having a bad week, flowers and a note." "My husband hid gift cards throughout the house and when I was having a really hard time he'd tell me to go look in a particular book or some other location and I'd find a gift card...a little something to cheer me up when he couldn't be there." "He has gotten better about gifts and things but the first time he was gone he didn't do so well, but with each trip he gets better." "He wanted to buy me gifts and I told him to save his money (LOL!). Last deployment I received many little gifts though - and flowers occasionally." "I keep a daily journal of both my heart and our day to day where I also paste photos of our son. I mail it to him once a month"
"My husband bought a journal and wrote me a love note in it and mailed it to me. He wrote that I should write a letter in it and we could send it back and forth, and our kids or grandkids could one day read about our time apart." "Scrapbook the year - have pictures of "a day in the life of" and send to deployed spouse"
"I invested in a photo printer and photo paper and just printed a bunch of candids of the kids and I periodically and sent them off in every card or package, and Joe wallpapered his room with them. The other thing he loved was the digital frame I sent him - you can also get digital photo keychains...just send extra batteries!!" "Don't underestimate the power of prayer in your marriage"
"Prayer, and lots of it! Saying I love you. Planning for the future. And phone calls. We kept God first and He grew our love." "We bought two of those hand held tape recorders and would record messages and mail them back and forth. It was a great way to hear each other's voice. We were blessed and able to IM just about daily, the last half of his deployment. He'd send "care packages" home with things for us, rolls of film to develop, wrappers from packages that had Arabic writing. Stories he wrote for the kids and pictures he drew. And yes we even spoke of the intimate parts of marriage. Hey, we're married! As the return got closer we shared our fantasies of what the return would be like (I'd see him come off the plane and he'd come give me a big hug) how the kids would be, etc. And when he came off that plane, he broke out of line, ran over to me and gave me a big hug before rejoining the line. later, i told him how great that made me feel, (forgetting what I'd told him) and with a confused look, he said..."but that's what you said you wanted." "Consider not withholding all the problems/struggles you're going through - just share it with a proper tone or with the solution to how you're handling it so it doesn't burden the deployed spouse. (Withholding everything for a year may have it's own issues)"
"My husband hides envelopes around the house before he leaves. They are filled with notes and sometimes money to go celebrate the month being over. He gives us a clue on where to find it. We also find other random notes in bags, shoes, and drawers as we go through the days." "Write down what he talked about so you're prepared for the next conversation." "One of the simplest but sweetest nuggets my husband has sent while being deployed was a drawing, a tracing of his hand. It arrived on a day that I was missing him the most and wished I could just see him face to face. I was able to place my hand on top of his drawn hand and It was as if I was literally holding his hand. Amazing how little things as such can go a long way. When the deployment got extended from 12 months to 15 month, I sent him a drawing, a tracing of left hand purposefuly with my wedding band to encouraged him and remind him of my love and devotion til life does us part no matter what happened. I still have "the hand" drawing and will never forget it's impact." "When he was home, I put a love note in his lunchbox everyday--so I made sure he got monthly envelopes with love notes for everyday during his deployment. I know this comment was supposed to be about what he did from overseas, but we have to do our share too!" "Write husband every day, using your letters to reminisce about your dating, engagement, wedding, etc." "My husband writes and mails me letters at least once a month." He sends great email every once in a while. I love email and letters from him." Silly cards helped Susan and I when I was deployed. Not to mention how you use your morale calls. We made those phone calls fun and used emails to discuss issues." "I wrote to Jeremy every day...some times they were about absolutely nothing but those are the things he likes to read...it's the little things...we also used Skype as often as we could. And PRAYER PRAYER PRAYER!" 40 Days of the Deployment Dare - Grow together while duty calls you apart! Actually—in some ways—The Love Dare is easier to do while separated! Don’t let Satan deceive you into thinking that it is not possible to grow together when duty calls you apart! Draw you closer together and build the kind of intimacy that really matters—the kind that lasts. Think about someone you want to have a better, closer relationship with. Maybe this person is someone you’ve recently started dating. Maybe you’ve been married to them for a decade already. Maybe they are a good friend. In every scenario, there is a superpower skill that will help you get to know this person better—something that will encourage them to relax and open up, share honestly, and deepen and strengthen your relationship. 1. For Fun: Desert Island And What If? Light-hearted questions that ask you to dream, play, and laugh. 3. Life Right Now: About who you are right now in life. 4. What Do You Think? What you think about life, love, lying, and everything in between. 5. Tell Them: A chance to share your own thoughts and memories… about them. 6. Highlights and Lowlights: About the extremes—the highs and lows—of life. Additional chapters will help you explore childhood, your family, your work, study and passions, stress, the future, and more. 401 Great Discussion Questions can keep you talking, laughing, thinking, and sharing for hours. But just in case using a book of discussion questions feels a bit strange, or you’re not sure where to start, we’ve included a free bonus for you. Ten Games To Get You Talking gives you ten fun ways to use this book. Playing one of these games can banish any weirdness, and allow you both to relax and enjoy connecting, sharing, and growing closer in all the ways that matter most. 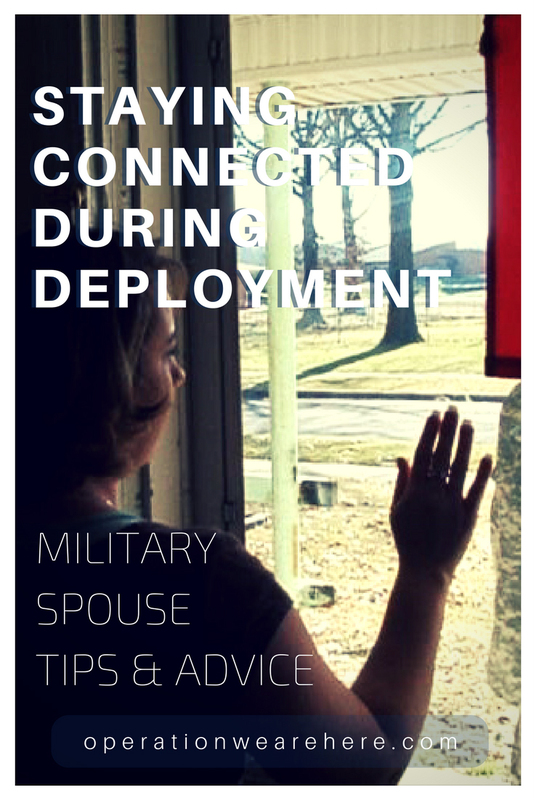 This is a must read for all military families and others living in a long distance relationship. It's a practical, hands-on guide to surviving the difficulties of these relationships. Although written from the perspective of military spouses, this work is equally of value to any couple struggling with the same issues. You'll find time-tested suggestions for coping with not only the emotional sting of a departure but the ongoing concerns while apart from each other. The pains and doubts brought on by distance is something that every couple in this situation shares. The mind games, the double guessing, the emotional blaming... You are not alone! You and your love done can learn to live with your occasional distance in a healthy, balanced manner. Don't wait, save your relationship today! The struggle of being a temporary single parent, decision maker, etc. This book could be used as a foundation to conduct classes for new military spouses and serve as a tool for Family Readiness Group (FRG) meetings. 28 pages of full color photos containing 365 creative and romantic activities long distance couples can use to help strengthen their relationships while they are apart. Based on groundbreaking research, and written by the leading authority in the field, Long Distance Relationships teaches the little-known but critical secrets to a happy and healthy long distance relationship. The first work to comprehensively review, cite, and synthesize five decades of research on separated couples, Long Distance Relationships is the definitive guide for the more than 3 million couples who have to be apart. Where can you turn...when the bills are due, the kids are acting out, loneliness and doubt are creeping into your quiet hours--and you're handling it all alone? If your partner is in the military, or has any job that requires long stretches of time away from home, these challenges may be the greatest that your relationship will ever face. Now is the time you need answers, resources, and understanding. This is the book that will give them to you. Since March 2005, The Long-Distance Relationship Guide has taught thousands of readers how to survive and thrive in their long-distance romances. Now Caroline Tiger has updated her relationship bible with a new epilogue and vital information for far-flung partners everywhere. Drawing on advice from distance-challenged couples the world over, Tiger offers indispensable tips on enduring the separation and keeping the romance alive.